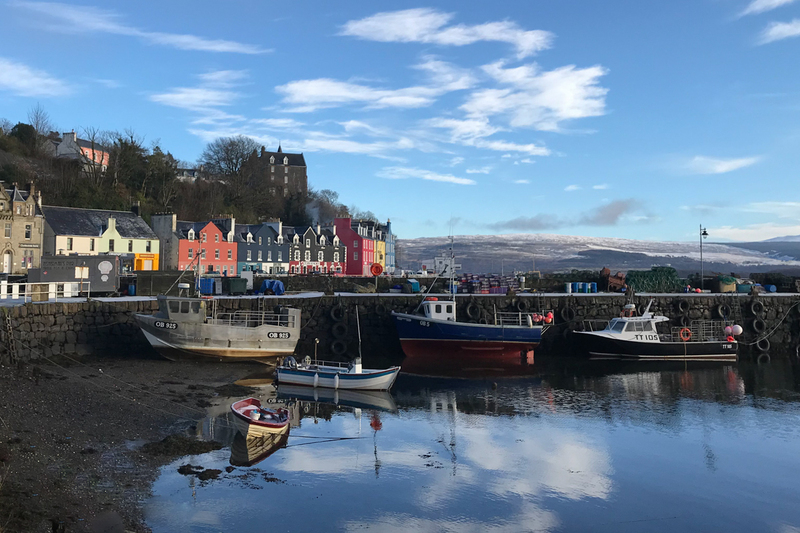 Rubha nan Gall Lighthouse and the Keeper’s Cottage are situated close to the picturesque town of Tobermory on the Isle of Mull. They are only accessible on foot, along a 2km coastal path, or by boat. There is NO road access. This spectacularly remote setting allows you to escape the hustle and bustle of daily life, a chance to relax and experience nature in a wonderfully secluded location. Walking the coastal footpath from the RNLI Lifeboat Station on Tobermory’s Main Street takes about 25 minutes, through a variety of habitats from the wooded copses of hazel and hard woods with glimpses of the coast, to gorse and heather lined spectacular panoramic views over the Sound of Mull, Ardnamurchan, Morvern and the historical site of Bloody Bay. Originally the main access route to the lighthouse for keepers and their families, the iconic footpath is popular with both locals and visitors and can be walked as either a return route or a 4km circuit returning via Tobermory Golf Course. 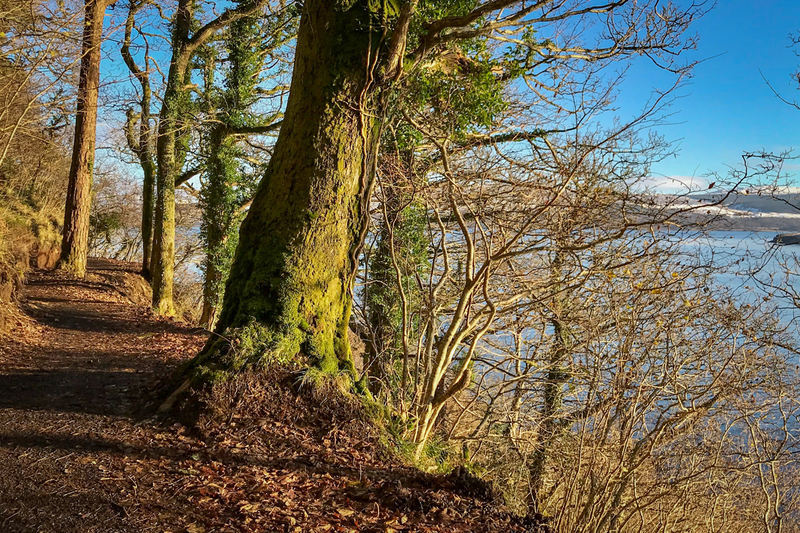 The entire path has recently been upgraded, however it can be slightly muddy and is narrow in places, so care and walking boots are strongly advised. If you’ll be out after dark, torches are essential for walking home. See Tobermory Lighthouse Path’s Facebook page for more information about the upgrade. Driving from Glasgow to Oban takes around 3 hours. Alternatively, there are train and bus services from Glasgow. Trains depart from Glasgow Queen Street Station and take around 3 hours, see Scotrail for timetables. Buses depart from Buchanan Bus Station and are operated by Citylink. 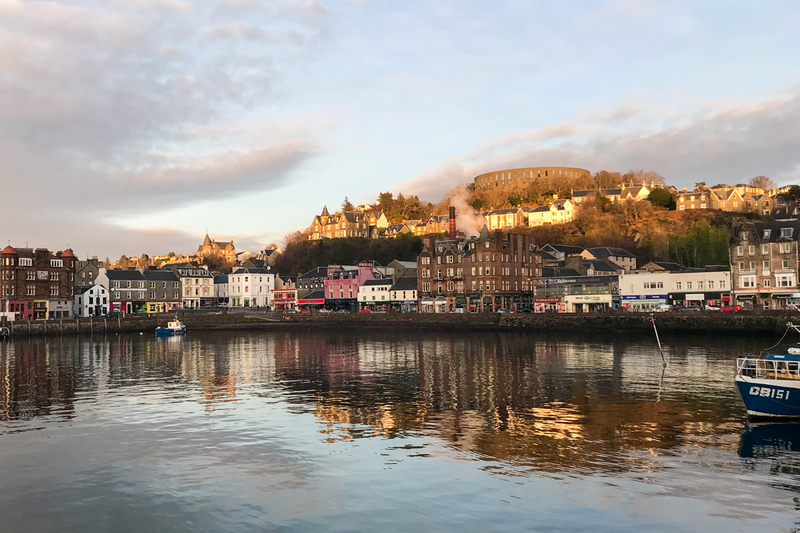 Buses and trains arrive in the centre of Oban and from there it is a short walk to the Calmac Ferry Terminal. For those flying to Glasgow Airport, Glasgow Airport Express provides a regular bus service to Glasgow Queen Street and Buchanan Bus Station. 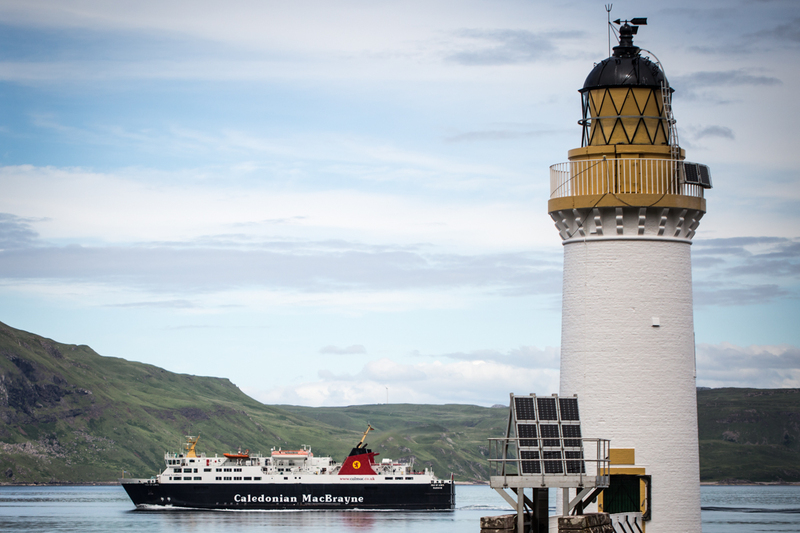 The main ferry route to Mull is the Oban–Craignure service operated by Caledonian MacBrayne, from there it is a 40 minute drive to Tobermory. Alternatively there are services from Lochaline-Fishnish and Kilchoan-Tobermory. The ferries get very busy during the summer months and advance booking for vehicles is essential, ideally six weeks before travel. CalMac require vehicles to arrive at the port 30 minutes before departure. Driving: From the ferry terminals at Craignure and Fishnish, turn right on the main road and drive for 20 miles to Tobermory. Much of the route is along a single-track road, so please use passing places to allow cars to overtake. More information on driving on single-track roads can be found here. Buses: A regular bus service runs from both ferry terminals to Tobermory. See West Coast Motors for timetable information. Please check before travelling as not all ferries are met by buses. West Coast Motors also provide buses to other locations on Mull, details can be found on their website. There are several taxis on the island, but advance booking is advised. There are two options for car hire on Mull. Vehicles are limited so early booking is required.